Pay Per Click Advertising (PPC Advertising), also known as Cost Per Click Advertising (CPC Advertising), is a very 'direct' form of advertising and Search Engine Optimisation. Instead of building your website up to be found at the top of the search results naturally, PPC Advertising on Search Engines places your website at the top of the results, usually in a 'featured' box or colour, for a fee. PPC Advertising is probably the most expensive form of online marketing, but guarantees a fast, considerable increase in website traffic. 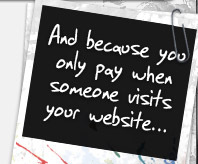 The average cost of PPC Advertising is between £0.20 - £0.30 per click, which means you will be charged that for every unique visitor clicking through to your website. In most cases, yes - and very well! 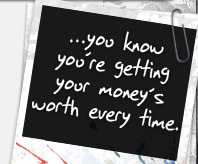 Imagine spending £25 per month on PPC Advertising, that would deliver around 100* unique visitors to your website each month, and if you were to then make a sale of just £26 or more to one of those 100 visitors you will have made a profitable return on investment. 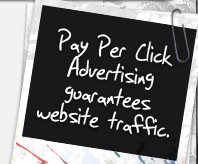 For more information on Pay Per Click Advertising or for a quotation, please get in touch.